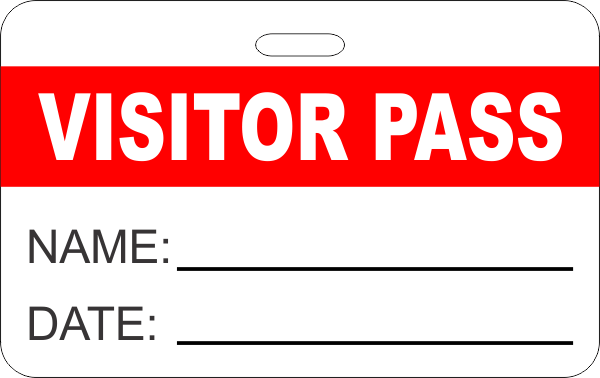 This dry erase visitor pass badge will help keep security a priority on your campus. Has space for visitor's name and the date. Help keep your campus or business grounds safe by identifying everyone who enters. This dry erase reusable visitor pass badge will allow each visitor to write their name and date of visit so that everyone on your property is aware of each guest. Customize the stripe color to coordinate with your brand.